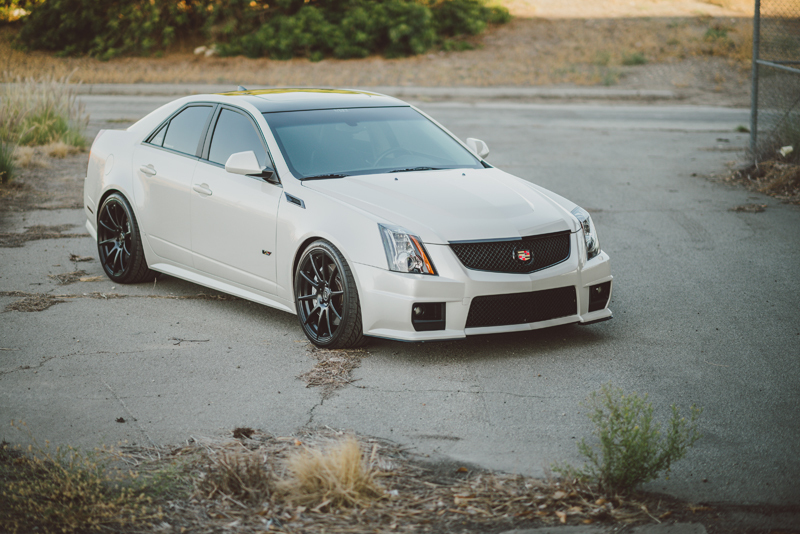 Not too many people would say that a car is “intimidating”, But that word perfectly describes ModBargains.com Co-Founder Mike Brown‘s Cadillac CTS-V. 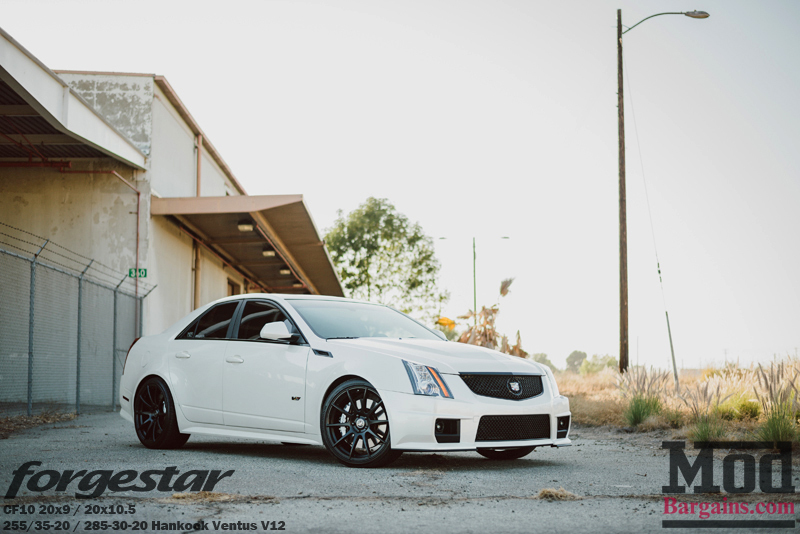 The first thing most people notice about this CTS-V is the balanced ride height. 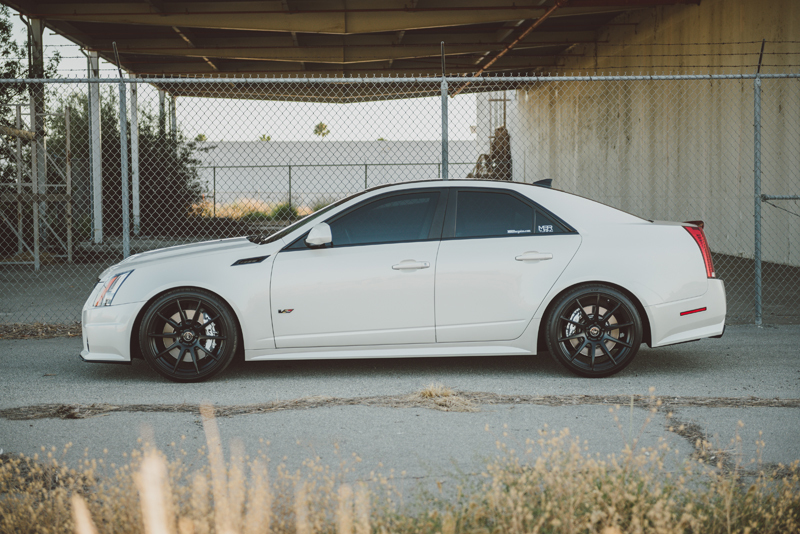 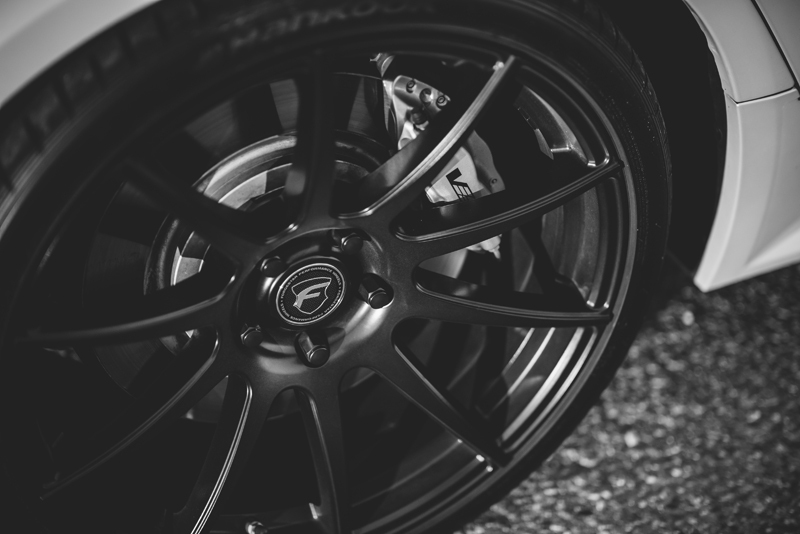 This perfect mix of form and function is achieved through the use of Eibach Pro-Kit Lowering Springs. 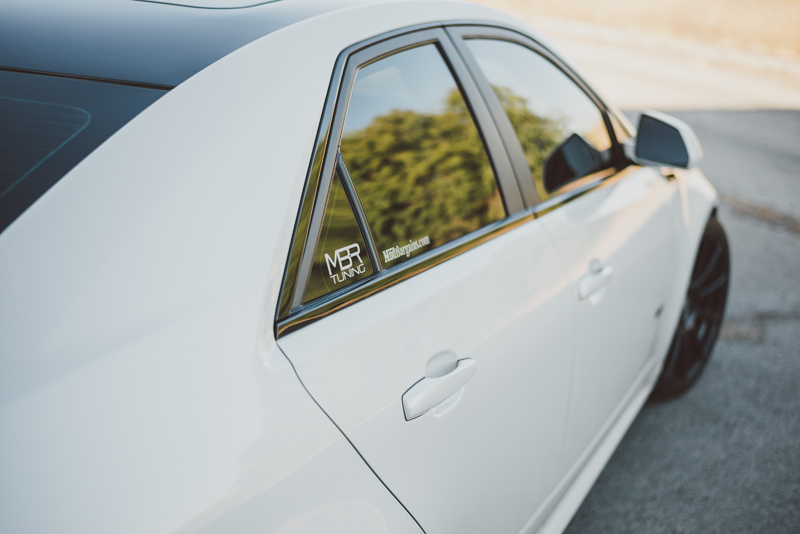 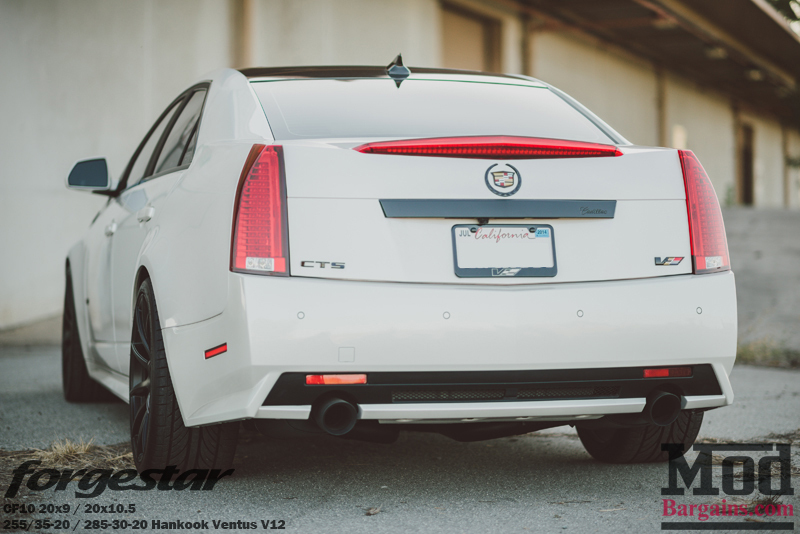 Everyone wants to go low, but Mike was still looking to put the CTS-V’s supercharged 6.2 V8 to use, hence the perfect blend of function and form. 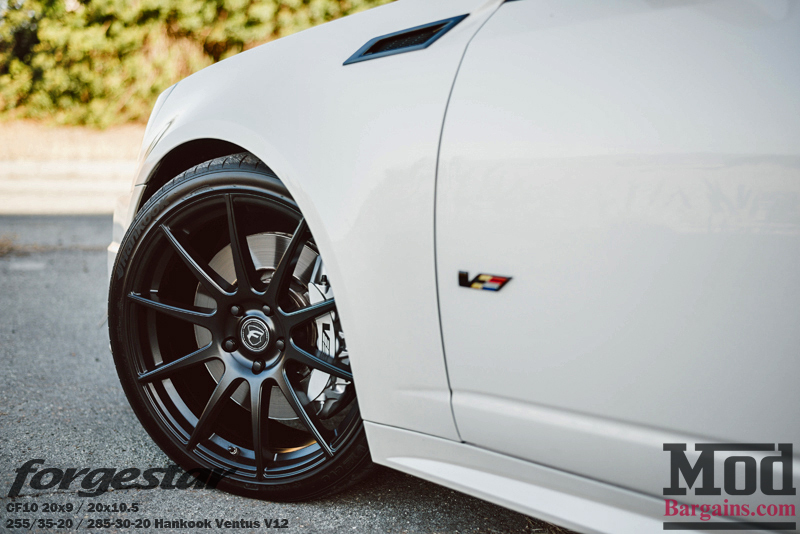 And 20×10.5 in the rear, with all four powdercoated with a semi-gloss black finish, and all four wrapped in Hankook Ventus V12 Evo Tires. Forgestar‘s CF10s are rotary forged flow formed, giving Mike a strong and lightweight wheel that can perform while still looking great. 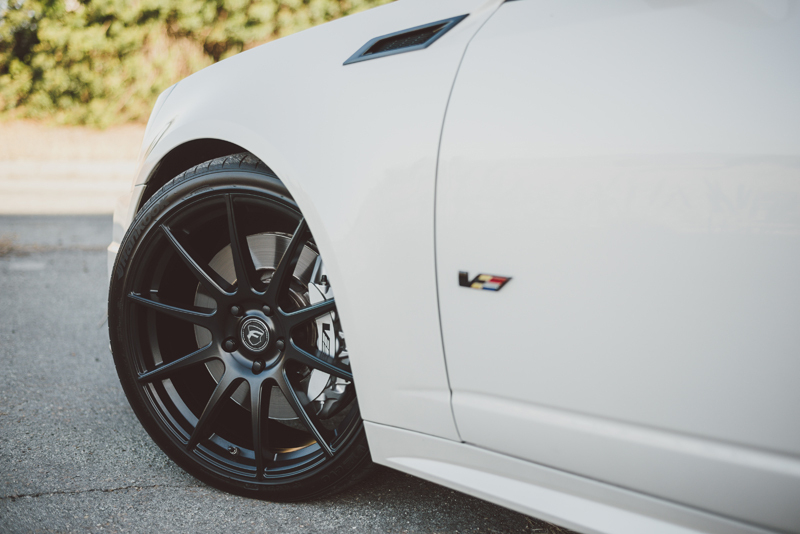 The Semi-Gloss Black Powdercoat adds some nice contrast, in addition to the satin and gloss black trim pieces. 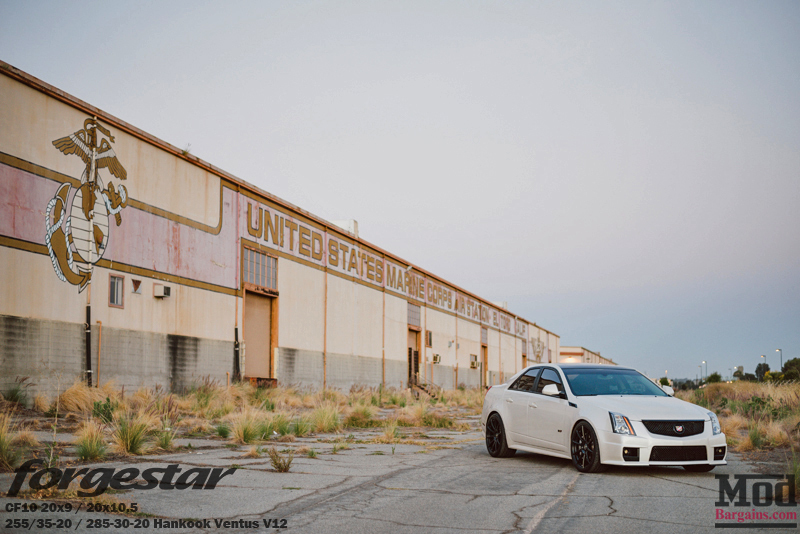 But this CTS-V doesn’t just look intimidating, it sounds and performs like it too. This is where Stainless Works comes in, and adds some more power to the already beastly CTS-V.
Mike went with the full set up, installing the Stainless Works Performance Connect Headers for a serious power boost, and finishing it off with the Stainless Works Dual Turbo Performance Connect Exhaust for a true muscle car tone. 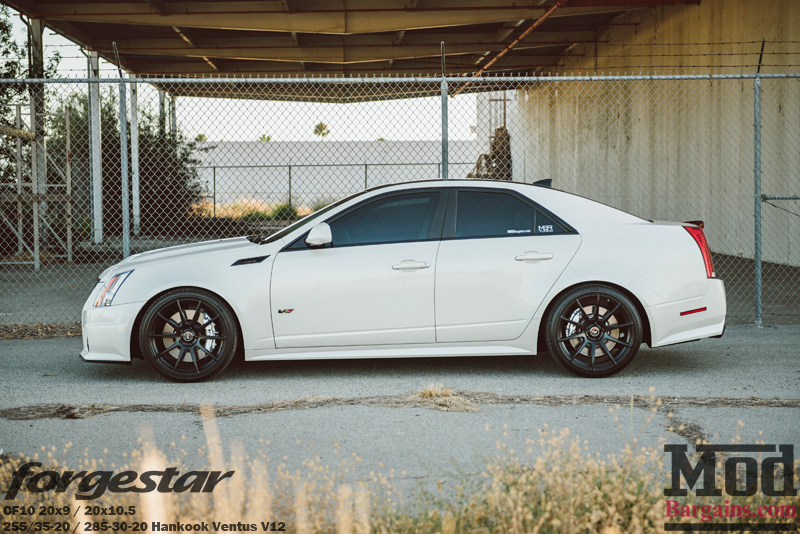 The entire set up has also been ceramic coated with a black finish, to help with heat control. 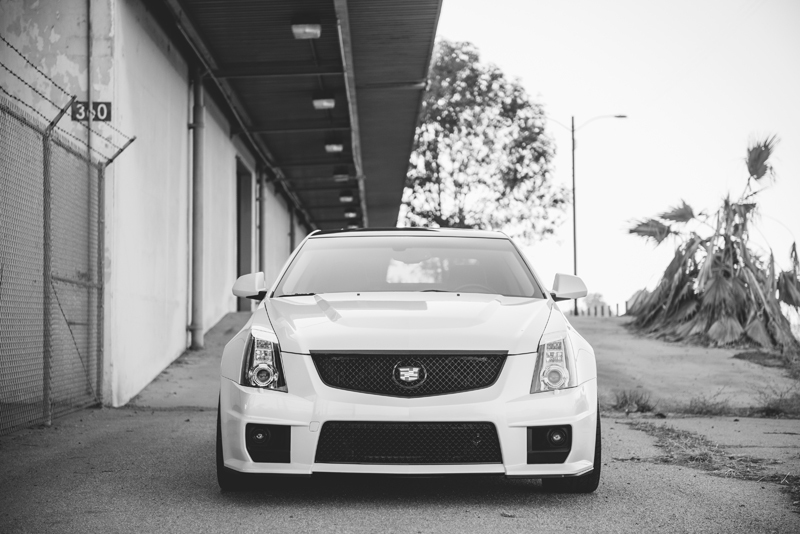 Plus it looks, well, intimidating. 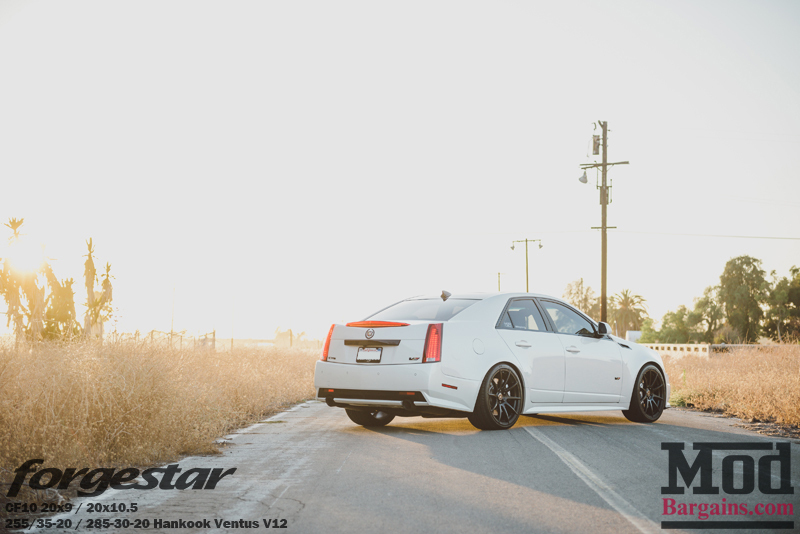 Finish it off with a Gloss Black Vinyl Wrapped Roof by Impressive Wrap, and some of our own Modbargains.com/MBR Tuning decals, and you have one mean machine. 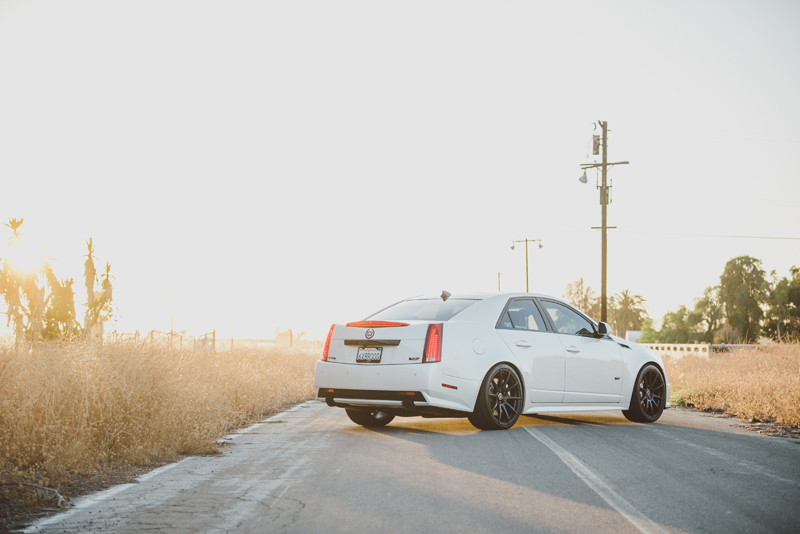 Being the owner of an aftermarket parts retailer, you would expect Mike to have some overdone machine. But no, instead Mike has tastefully modded his CTS-V and built a car with an Intimidation Factor. 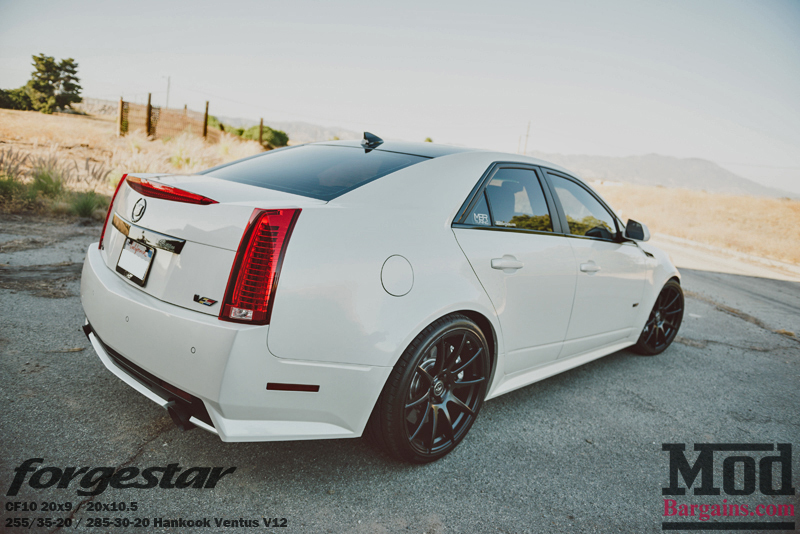 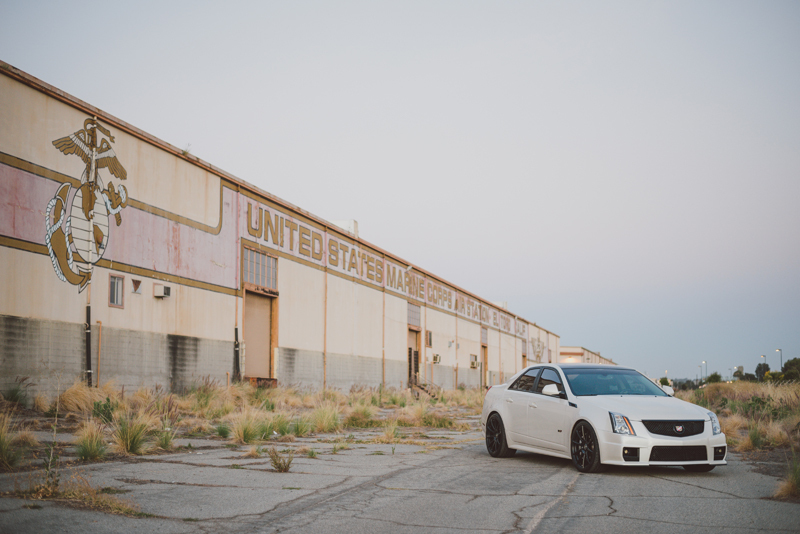 We can’t wait to see what Mike has planned next for his CTS-V, and for ModBargains.com! 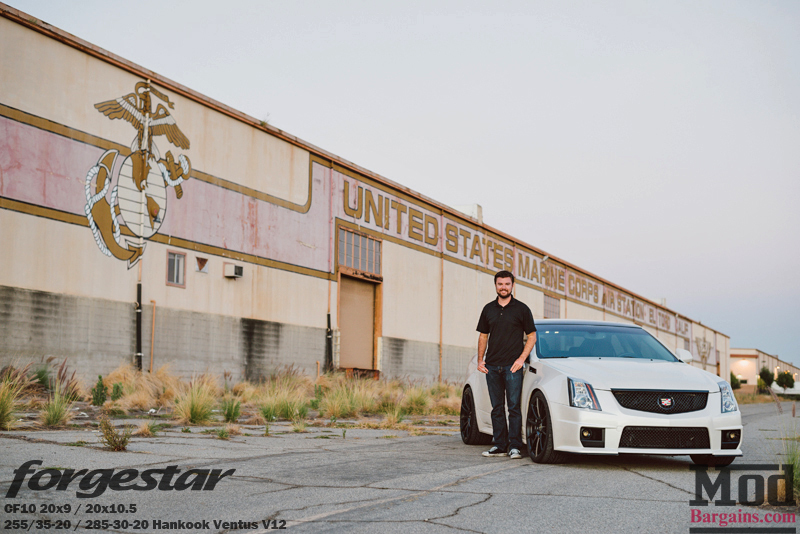 We would like to give a special thanks again to A.J. 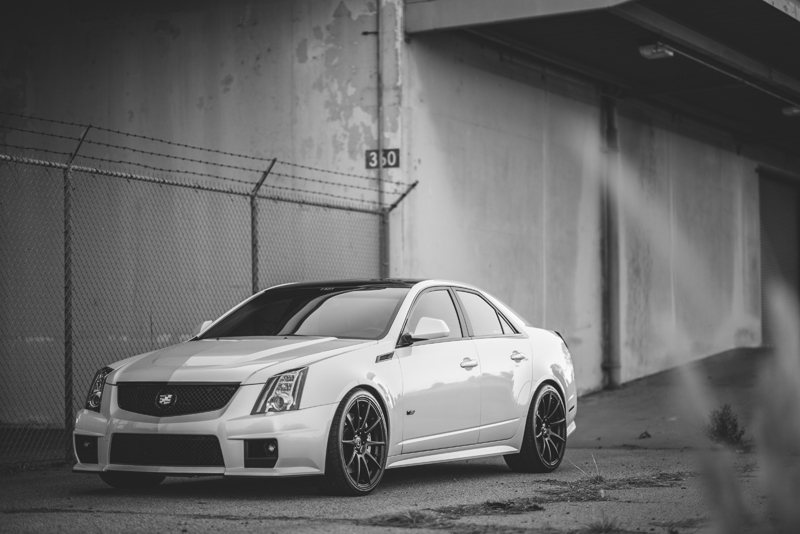 at Adrian Jon Photography for letting Modbargains.com use his photos. 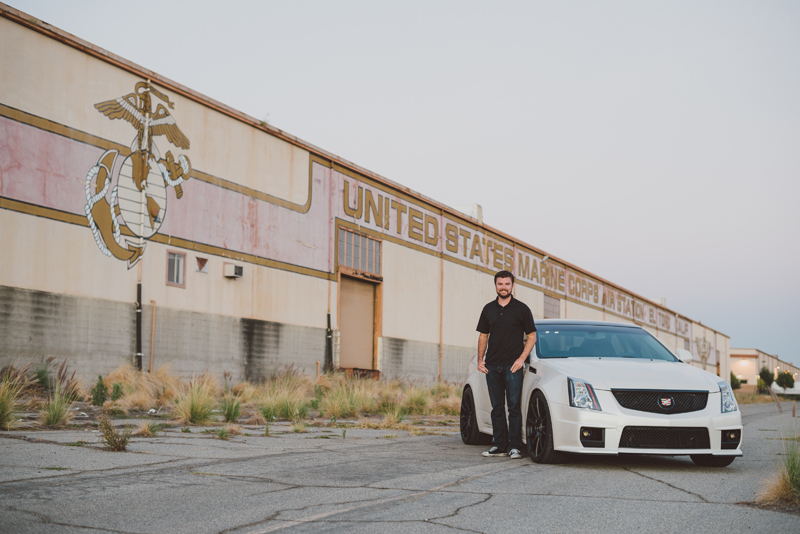 So be sure to check out his Facebook and his Instagram if you want to see some great work!